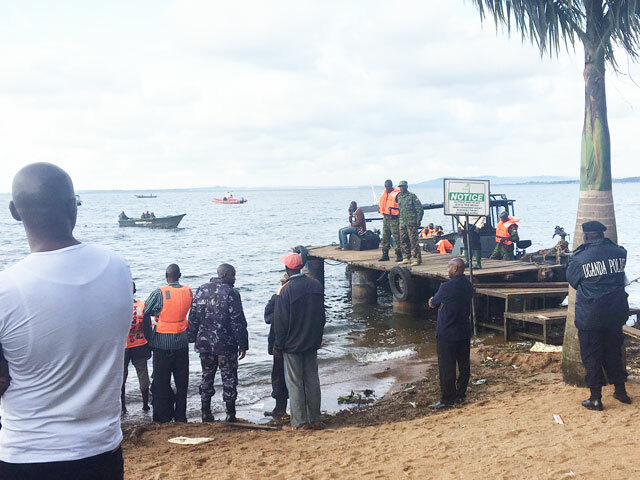 KAMPALA – As the country mourns the victims of Lake Victoria boat accident, the management of Mutima Beach Resort in Mukono has threatened to drag the government to court for damaging property while using their facility including toilets. The beach authorities on Thursday accused the joint team of the Uganda Police, the UPDF and Ministry of Works who has since Saturday been stationed at the latter’s facility as the operation centre to retrieve bodies of stalling their business. The Saturday tragic accident had MV Templar destined for K-Palm Beach resort on Lake Victoria capsize near Mutima beach. Police Director in charge of operations, AIGP Asuman Mugenyi on Thursday that Mutima Beach owners had asked for compensation. AIGP said however that his team would not be intimidated to back off from their mission of retrieving the wreckage and bodies from the lake. This comes on a few days after the police compensated one of the locals who claimed his maize plantations had been destroyed during the operation to retrieve MV Templar. Meanwhile, the wreckage of the fateful boat was on Thursday afternoon retrieved from the Lake Victoria waters after a number of days of tireless efforts to get it out of the waters. Earlier divers had spotted some body parts underneath the wreckage which was still trapped in water but are currently involved in checking the vessel’s compartments for any missing persons.